Honey Lasts Forever - Fact or Myth? Honey is created when bees collect and process nectar from flowers. The process works like this: bees find flowers with nectar, they hover over the flower and flap their wings removing some moisture from the nectar, then they collect the nectar in their mouths and hold it there, the bees have glands in their mouths which secrete an enzyme, that enzyme mixes with the nectar to create honey, the bees then essentially vomit the honey back up when they get back to their hive and it is stored in honeycomb (which bees make out of wax). The result of the drying of nectar and the mixing of it with the enzymes is that it creates a chemically unique energy source that can last forever (if isolated from outside moisture). Honey is one of the few edible things on earth with an extremely long shelf life. Some foods like properly stored uncooked beans and white rice can last decades, but a few edible things like honey, salt, sugar, and maple sugar all have indefinite shelf lives when stored correctly. Of those edible things with indefinite shelf lives, honey is properly a food on its own as it contains a wide array of acids, minerals, and enzymes not found in the rest (although to be fair, maple syrup comes close). This means honey is a food that doesn’t go bad, and in some ways is the only food on earth that doesn’t spoil [under the right conditions]… although remember, maple syrup is a contender here. Bottomline: Honey is magical bee vomit that last forever, and bees are constantly flying around with honey in their mouths! FACT: Honey is not meant for us, honey is what the bees use to eat in the winter. The concept being that “nature came up with” an interesting way for bees to ensure they had something to eat in the winter that wouldn’t go bad as they stored it during the year. TIP: If the honey is crystalized, that means it is still good. NOTE: Apparently, honey can contain spores of Clostridium botulinum, which can cause infant botulism in infants due to their gastrointestinal tract not being developed enough. So, while one can eat properly stored honey from any past era, they should not give it to infants. 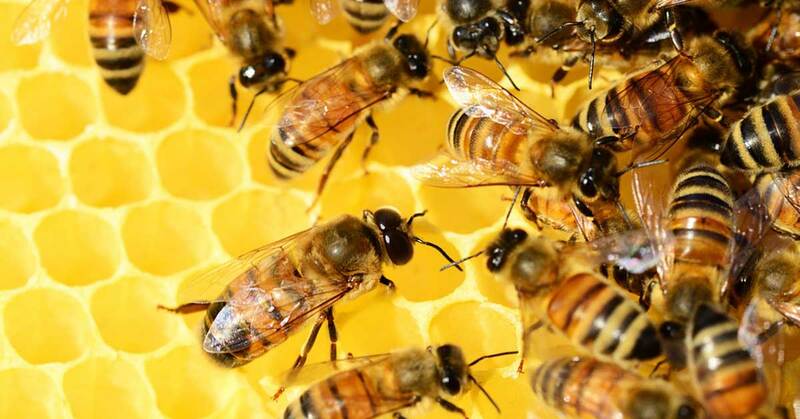 FACT: Each honey bee will only produce around one twelfth of a teaspoon of honey in its life! Honey lasts forever, it is immortal, it doesn’t expire, and it doesn’t spoil [under the right conditions] it is truly a super food. Not only does it last forever, but in some ways you could consider it the only food that doesn’t go bad (although maple syrup is a contender there). Why honey is the only food that doesn’t go bad. Wikipedia.com. 10 Foods That Never (or Almost Never) Expire. MentalFloss.com. The Many Health Benefits of Raw Honey. DrAxe.com. How Do Bees Make Honey? Buzzaboutbees.net. Nutrition of Pure Maple Syrup vs Honey. Sfgate.com.